Did your Mac’s home page change all by itself? Do you see new items in your browser’s toolbar? Did you get a pop-up message telling you to call an 800 number, or your Mac will be erased? Are your searches being handled by some weirdo website? If so, your Mac may be infected with adware or malware. It’s easy to remove, so let’s do it. 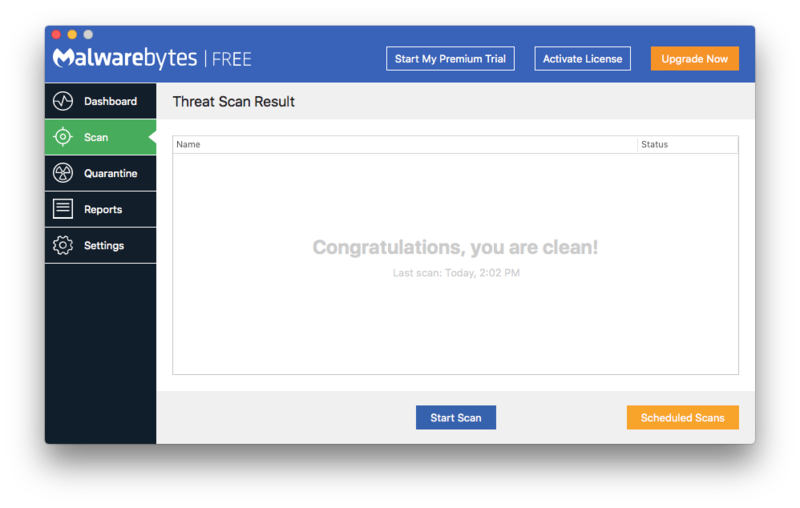 The best way to remove adware and malware is with a free program called Malwarebytes for Mac. 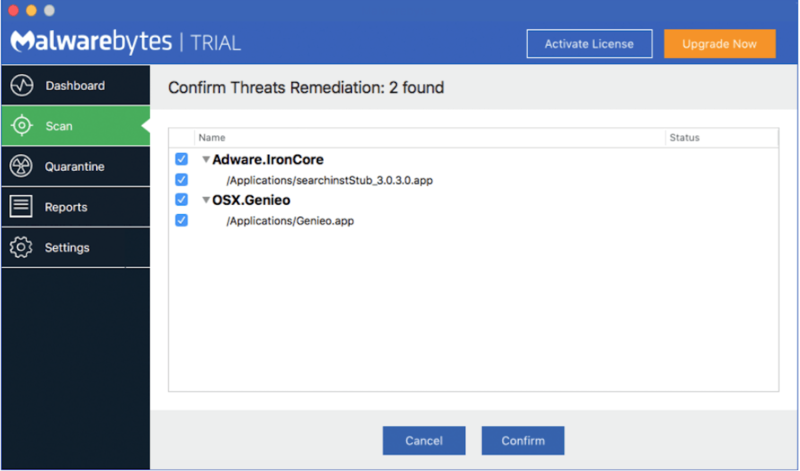 Malwarebytes has long been a player in the PC world, where problems of this sort are worse, and now they are here to clean up our Macs. Malwarebytes: This scan found some malware. Technically, you aren’t deleting the items. You’re putting them into “Quarantine.” You can click on the Quarantine tab at the left of the Malwarebytes window and see what Malwarebytes has placed there. 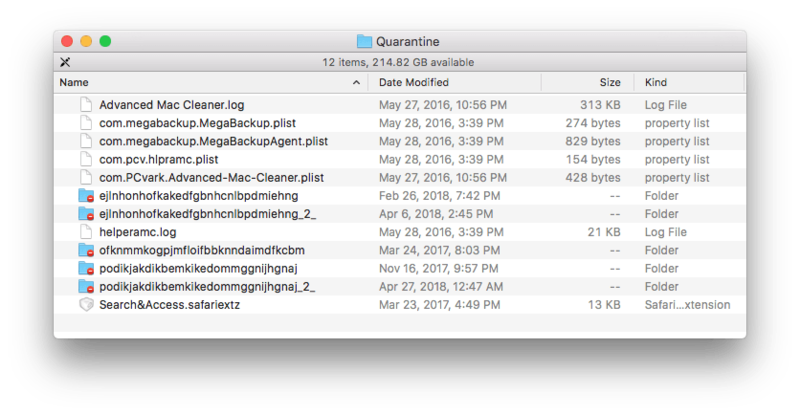 You might notice that the names of the items in the Quarantine folder sometimes have names like “megabackup” and “Advanced Mac Cleaner.” The names are very misleading– they make it sound as if these are good things. They’re not: If Malwarebytes says it’s malware, it’s malware. Get rid of it. Malwarebytes offers you a free 30-day trial of their premium service. After that, Malwarebytes nags you for payment. In my opinion, you will be just fine with the free version. 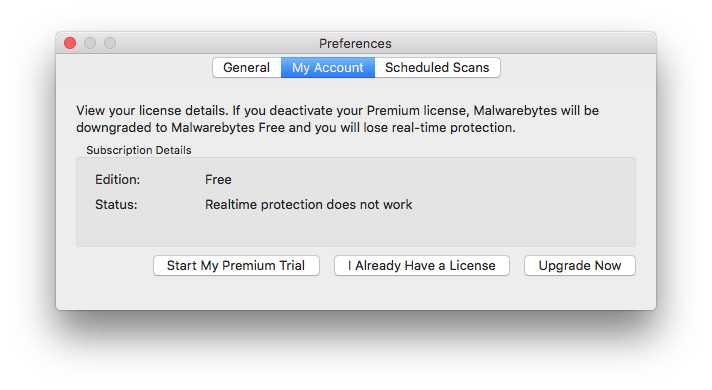 You can go to the Settings and tell the program that you want to keep using the free version rather than run in “Premium Trial Mode.” In my experience, you have to tell them twice– the setting does not stick the first time. Advice: If I were you, I’d run Malwarebytes today to see where you stand. Accept the free trial but convert your account to the free version. Run it whenever you think things aren’t working properly. And get Intego’s Virus Barrier if you want to take preventative measures.